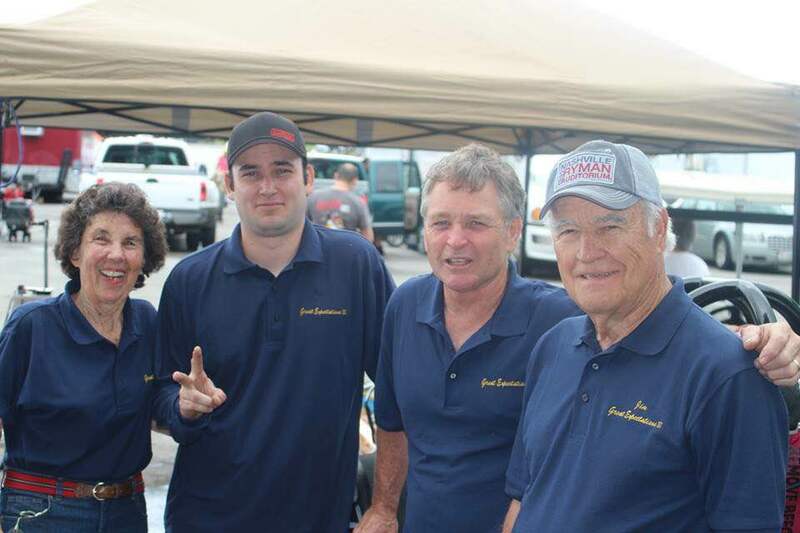 If there is any underlying theme in motorsports, it’s family. Mothers and fathers pass down a love of speed to their children, often three and four generations down the line. 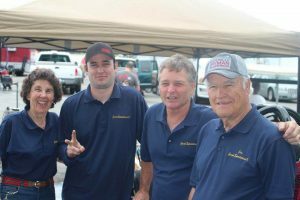 When drag racers pass through Frank Hawley’s Drag Racing School, regardless of the venue, it is often with parents or children in tow. 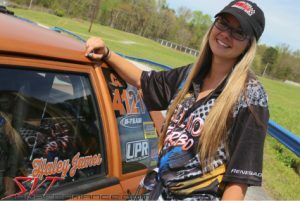 Haley James is an 18-year-old drag racer from Albuquerque, NM who caught the bug from her dad, Dwayne. When she wasn’t watching him make passes, she was in the passenger seat of his street cars as he went down the track. 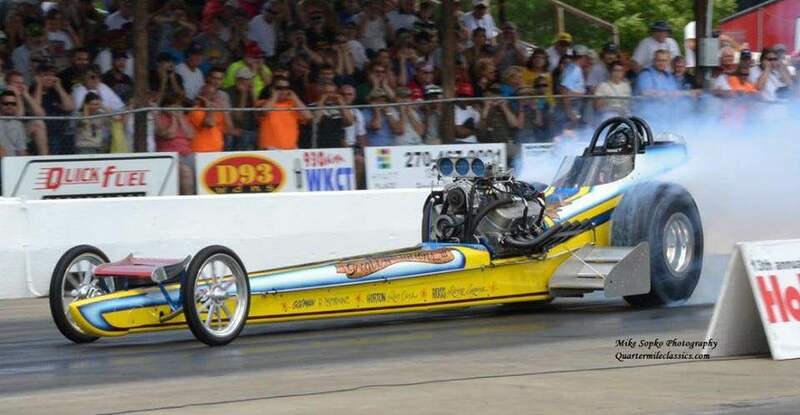 Her dad taught her how to drive a golf cart at age 5 and by the time she was 11 she was in a Jr. Dragster. 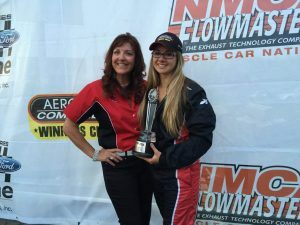 Fast forward a few years later as she continued to watch her father race in the National Mustang Racers Association. Dwayne asked if she would be interested in getting behind the wheel again. 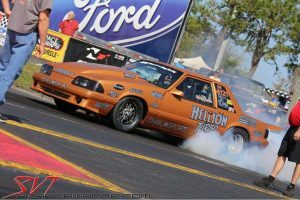 With no hesitation, she said “Yes!” and as a Christmas present, she was enrolled in Frank Hawley’s Drag Racing School. 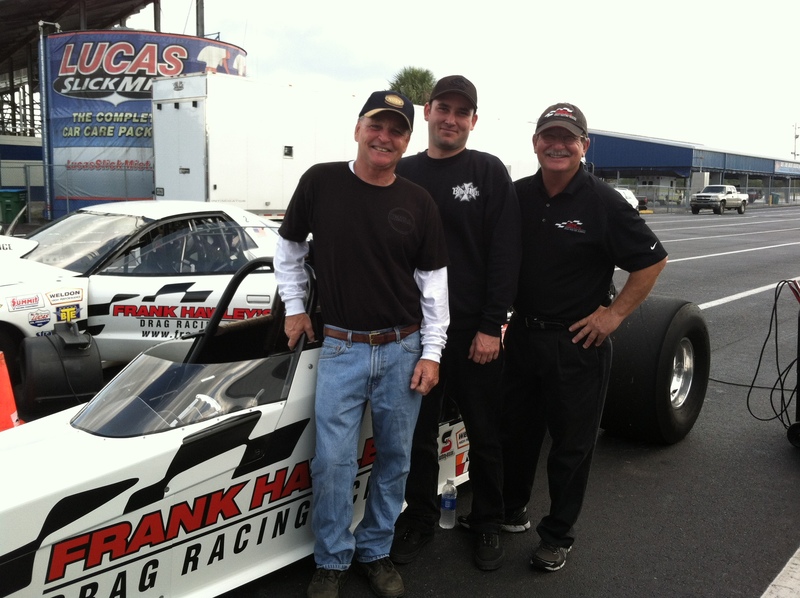 Not only does Frank Hawley’s Drag Racing School provide knowledge and experience in motorsports, it strengthens those family bonds, even for already tight-knit families like the James. The future looks very bright for Haley, currently the points leader in the NMRA Coyote Modified class. She has been in the winner’s circle at three of the events and runner-up at the other two. If she earns that title, it will make her both the youngest and the first female to hoist the big trophy at the end of the season. Visit FrankHawley.com to see when they’re at a race track near you! Call them at 866-480-7223 with your questions and to sign up! 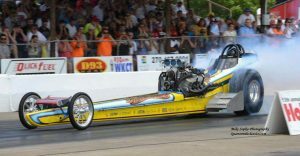 In the 60’s and 70’s Jim and Allison Lee from West Virginia campaigned one of the fastest Top Fuel cars in the country. I was just getting started then and although I didn’t get to race against all of the Lee’s drivers I did get to become friends with and race against one of them, Bobby Hilton. 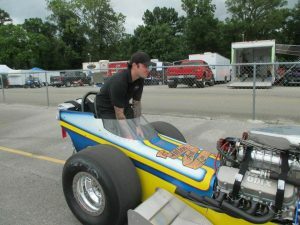 I was very pleased when Bobby contacted us last year about his son coming to school to get licensed so he could race a nostalgia top fuel dragster. It was great to meet Tyler and visit with Bobby again. The car that they are racing is a tribute to the great series of race cars the Lee’s ran. The car is painted as an updated version of Tyler’s moms parents last front engine fuel car from 1969. Tyler sent us these pictures from the NHRA Hot Rod Reunion in Bowling Green this year. We’ve been following these guys and are really proud of how Tyler has done so I wanted to give everyone a look at this great car and family! Jack Beckman and I have had a long professional and personal relationship. He’s a great driver, instructor and friend. And he always gives a great interview. Scroll down to hear the interview Jack did with Joe Castello from WFO Radio – I know you’ll enjoy it! Jack gives his insight into the School and how he feels the Dragster Adventure program can be fun for anyone! Contact us at 866-480-7223 or visit our website at www.frankhawley.com!